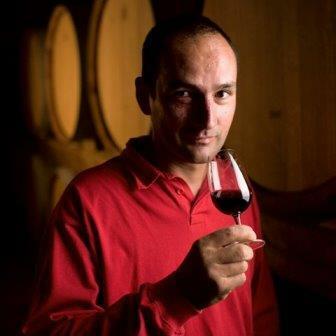 Yann took over from his father, Bernard Chave, and in 2001 the name of the Domaine became Yann Chave. It consists of 16,77 Ha of Crozes Rouge, 1,20 Ha of Hermitage, 1,50 Ha of Crozes Blanc. The Rouvre is a single parcel in Chassis, his best parcel of Crozes, very "caillouteux" (large rounded stones) and the vines average 60 years-old. It is pure "vin de goutte" and is aged entirely in 1-2 year old demi-muids. The Hermitage is from two parcels, one in Baumes (next to Le Méal) and the other in Péléat: average age is 30 years. The wine is aged in 600L demi-muids, a size well-suited for Syrah and does not over oak the wine. Yann harvests late, for maximum phenolic ripeness. He has very little Hermitage, but makes one of the best-value Crozes-Hermitage available. Wine Spectator 92"Sweet and ripe, with lots of mocha, dark licorice, plum sauce and fruitcake flavors backed by a fine-grained structure and a long, mineral-tinged finish. Shows nice weight for the appellation. Drink now through 2011. 150 cases imported. "